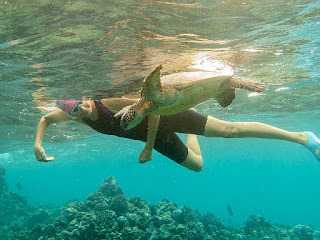 Three small inquisitive sea turtles swam up to check us out this morning. 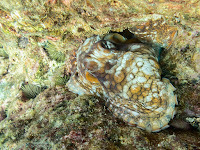 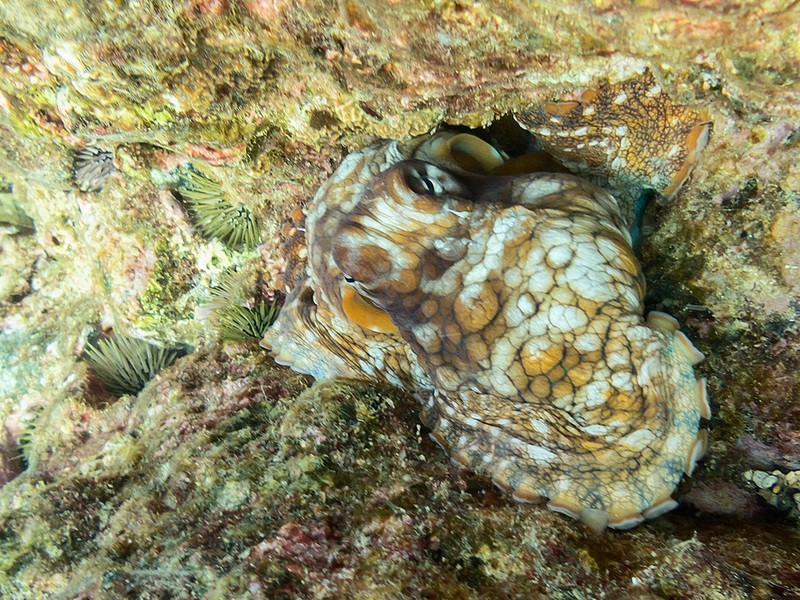 This octopus soon changed to solid brown, jetted off, and blended in with different coral in different colors. 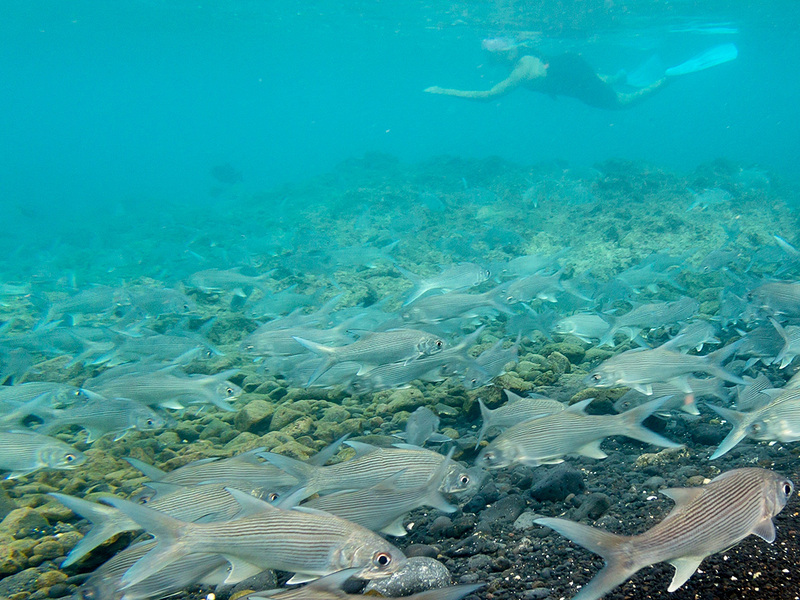 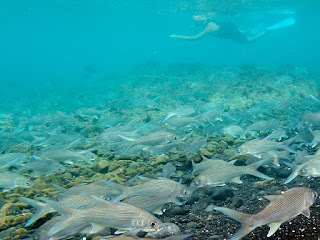 Lots of fishies did not mind our presence at all today.